White eggplant, botanically known as part of Solanum melongena is scienticially considered a perennial fruit though agriculturally it is grown as an annual vegetable. 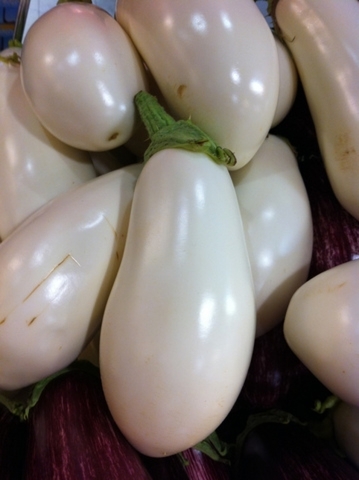 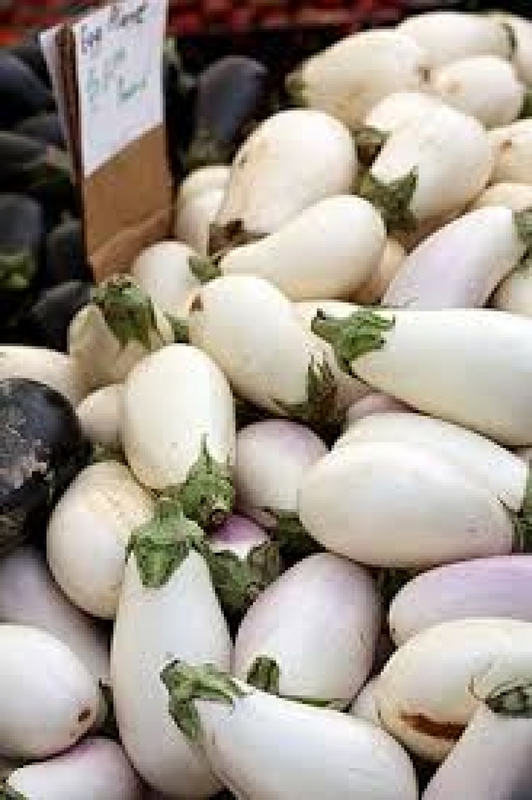 All eggplants are part of the Solanaceae family along with potatoes, tomatoes and peppers. Pick when skin is glossy; dull fruit indicates over-ripeness. 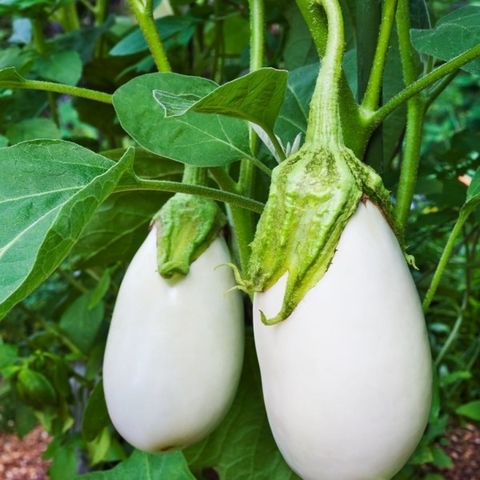 Both under-and over-ripe fruit tastes bitter. 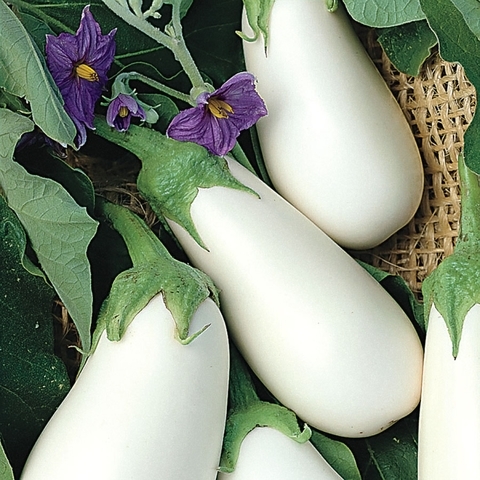 Pick white eggplants before skin turns yellow. 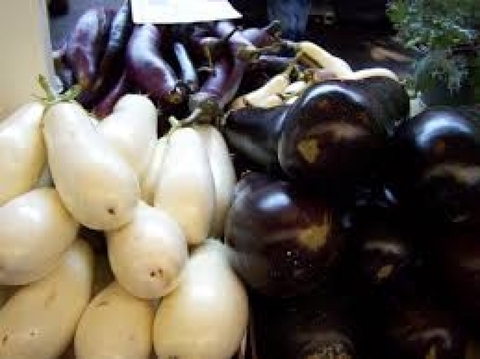 Use pruning shears or a sharp knife to cut eggplants, keeping a short stub of stem attached.